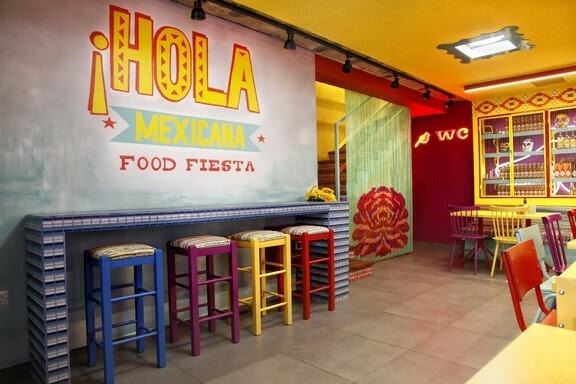 In the capital of the province of Macedonia we find the restaurant Hola Mexicana, designed by Kaput Design with a large dose of colour as the Mexican tradition dictates. 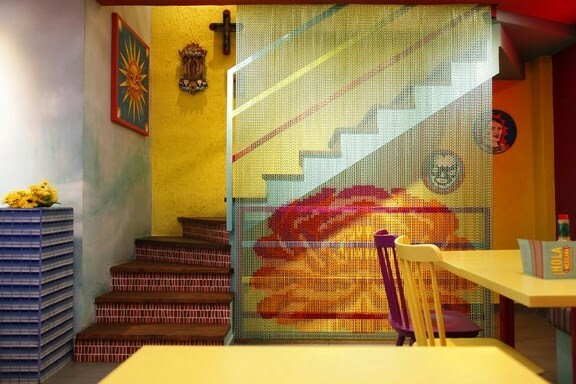 Among the many details, skulls and mosaics, portraits of Frida Kahlo and paintings of indigenous inspiration, coloured windows... Everything on walls with flaws, cracks and chipped looking for expressivity through irregular texture. 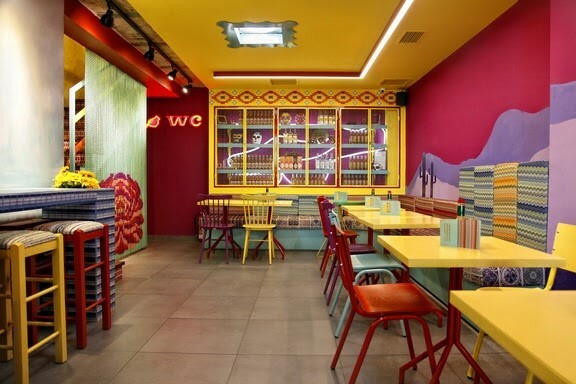 It also includes a metal chain space divider that decorates the staircase and reproduces the Mint Lotus pattern, design emerged from the striking colour palette of the Far East and its love for lotus flowers.